ADDISON, Texas /Mortgage and Finance News/ — Mid America Mortgage, Inc. (Mid America) announced today that Mid America Chief Operating Officer Kara Lamphere was one of four mortgage technology innovators honored by the Mortgage Bankers Association (MBA) as a 2019 MBA Insights Tech All-Star. 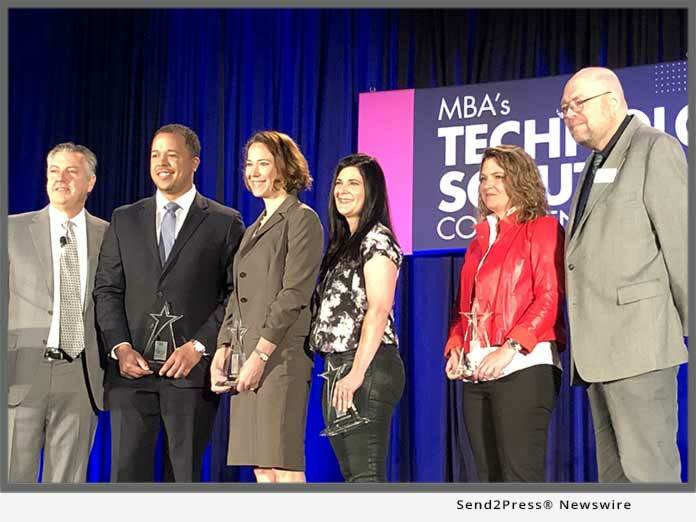 The award, now in its 18th year, recognizes “industry leaders who have made outstanding contributions in mortgage technology.” Lamphere was recognized during a ceremony on Monday, March 25 during the MBA’s Technology Solutions Conference & Expo 2019 at the Hyatt Regency in Dallas. Lamphere was recognized for leading Mid America’s recent debut of its consumer-direct digital mortgage application and eClosing platform Click n’ Close. By eliminating 85 percent of homebuyers’ paperwork, Click n’ Close delivers a loan decision within one business day, condenses application-to-closing time to two weeks and cuts closing time to just 15 minutes. As the architect of Mid America’s eMortgage transition in 2016, Lamphere’s knowledge of the digital mortgage landscape was integral to the platform’s development and launch. Thanks to the digital mortgage process Lamphere has helped put into place, Mid America has experienced at least 25 percent or more in cost savings on a per loan basis and currently accounts for roughly 85 percent of Fannie Mae’s total eNote purchases. In 2018, Mid America executed 65.8 percent of its total retail production and 57.8 percent of its combined retail and wholesale production using eClose. Kara Lamphere named Chief Operating Officer at Mid America Mortgage Inc.